When you first moved out of your home, you probably didn’t know the price of a single item. Sure, the grocery prices are the same everywhere, and you couldn’t have bargained, but each time you required a service, you ended up paying a lot more than the standard rate. It was only when you discussed it with your mom that you realized the mistake you had made. You are the person who lives in a digital world; you should not be making mistakes like that. But most of us don’t understand the power that the internet contains. We think that it is only good for bringing us memes and news, but you can use the internet for almost everything, even to compare prices. If you use the internet for such things, you will learn to be better at selecting the right service providers for yourself. But sometimes, despite knowing all the rules, we mess up because we are stressed out. When we have to get things done for something really important, like admission or visa application, we end up using more emotion and less logic. In this vulnerable state, we fall prey to the first vulture that promises us great things. It is time to say no more and start being logical about these things. If you are applying for admission in a foreign university or immigration in a foreign country, you will need the translation of your documents like your birth certificates and degrees. 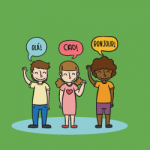 These translations are a must when there is a difference between the official language of your country and the country where you are applying for immigration. Without the translations, the people checking your application won’t be able to understand the details mentioned on your birth certificate, and your application will get rejected. But translation services for documents are available everywhere or at least that’s what these numerous websites on the internet told you. When you see that you have multiple choices, that’s when your time will come to be logical. Non-professional agencies offering translation services for documents will take advantage of your situation and offer you high-quality translations at the rates of their choice. These translation agencies know when someone is in a hurry or need of a translation for the first time in their life. 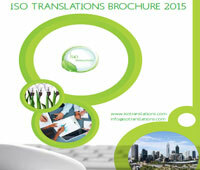 They will try to convince you that you won’t find better translations anywhere else. Often people fall victim to their cleverness and end up paying a large sum of money for simple translations. If you are looking for translation services for documents, it is better to choose a professional translation agency that has good reviews online. 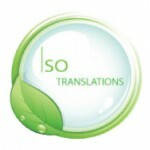 Such agencies, like the ISO translations company, handle document translations every day and their preference is the comfort of their client, not the client’ money. It is only by hiring the services of a reliable translation agency that you will be able to get translations of documents at low rates. 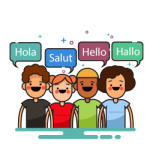 You will get high-quality translations without having to disturb your budget.